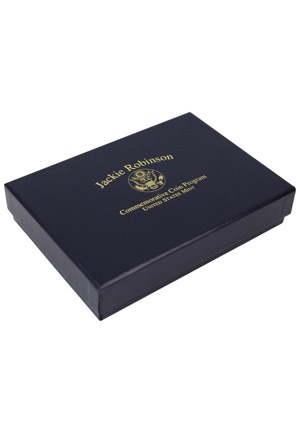 These anniversary sets include a 1/4 oz. 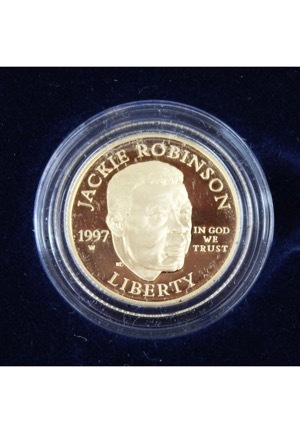 90% gold coin. 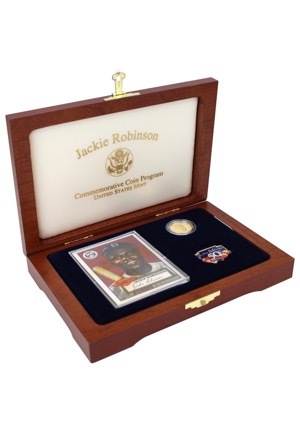 One of them includes a 1952 Topps Chrome reprint baseball card, a Jackie Robinson 50th Anniversary pin and a Jackie Robinson 50th Anniversary patch. 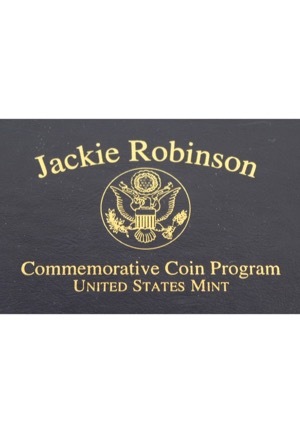 All come in a presentation box that reads “Jackie Robinson Commemorative Coin Program UNITED STATES MINT”. 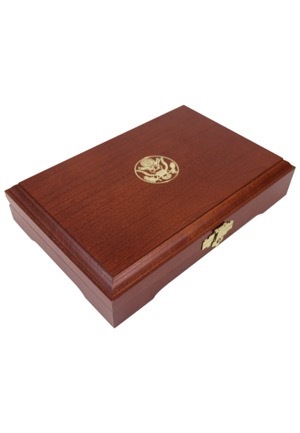 Also included on one of them is the original navy blue box holder.